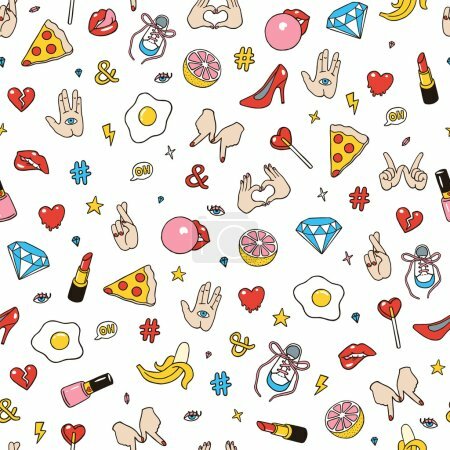 Seamless pattern made of fashion sketchy patches. Different trendy badges and pins. Oldschool vector pictograms in line-art style with 90's colors. Hearts, hands, fruits, hashtegs and diamonds icons.